We have concluded our media briefing with our partners for the 25th edition of Asia IoT Business Platform earlier this week. Our director, Irza Suprapto, open the session by sharing our 2017 ASEAN enterprise survey results which involved 1,573 individuals surveyed across countries in the region. 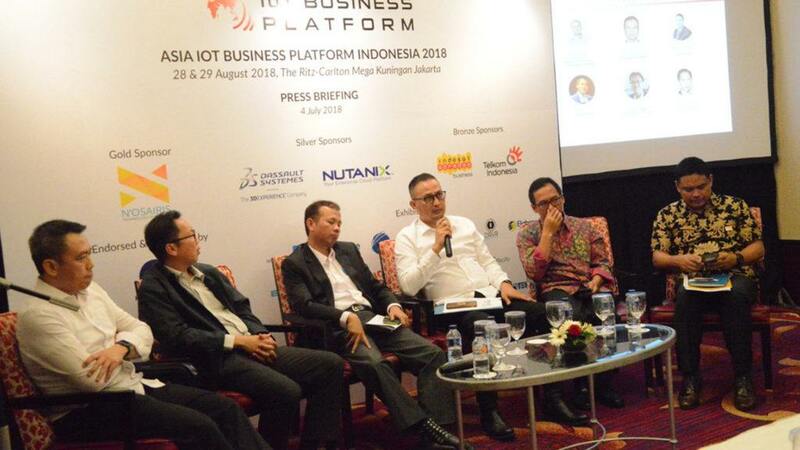 Based on our enterprise survey, the developments in Indonesia have been encouraging with more than 83% of Indonesian businesses are currently exploring and/or implementing IoT solutions. The percentage of enterprises who have benefited from the implementation of IoT, 5.1%, is promising too, relatively high compared to her neighbouring countries such as Malaysia (0.63%) and Philippines (2.43%), however it is still lagging behind Thailand (10.08%). Key leaders from main stakeholders in enterprise IoT including government, telecommunication operators and enterprises were involved in a panel discussion in the media briefing, providing insights on the current development of IoT and digitalisation in Indonesia and what steps to be taken to drive this digitalisation initiative further. A common theme observed in the discussion is the importance of collaboration from various stakeholders to drive enterprise digitalisation. Our panelists all agreed that it is imperative for all industries to embrace IoT and digitalisation to improve their productivity and enhance their competitiveness in facing global competition, with each vertical finding their own IoT applications. Pak Semuel mentioned that the Indonesian government has been very active in pushing for digitalisation in the country through various initiatives such as "Towards 100 Smart Cities in Indonesia", e-commerce roadmap, e-government and the recent one would be the introduction of the Industry 4.0 road map: "Making Indonesia 4.0". With these initiatives, the government hopes that enterprises across verticals start to utilise frontier technology and IoT to reap productivity and efficiency benefits such as the case with Cikarang Dry Port. SMART has also come up with a digitalisation blueprint for their organisation as shared by Pak Ronni. He firmly believes that IoT is imperative in today's business to quickly respond to the needs of market. He also shared that SMART is currently pursuing several IoT projects such as warehouse and manpower management. Pak Warsono presented some of the digital initiatives done by PLN including their smart grid and smart metering project - PLN is currently doing IoT POCs in Bali and Batam utilising LoRaWAN. He also shared that PLN is also exploring electric and connected vehicles projects in the future. Telecommunication operators play a pivotal role in driving digitalisation too. Both Pak Komang and Pak Hendra explained that the role and business model of telcos have shifted to adapt to the changing market. Telcos are playing a pivotal role as the hub of IoT, the integrator of IoT ecosystem. Telcos will be working closely with their enterprise partners to provide solutions as well such as platform, security solutions, and other applications - this has become a new normal in the telcos industry. Concluding the discussion, Pak Semuel stressed the importance of enterprises going digital and catching up with the latest technology, else they will be replaced by others who are more progressive and agile. 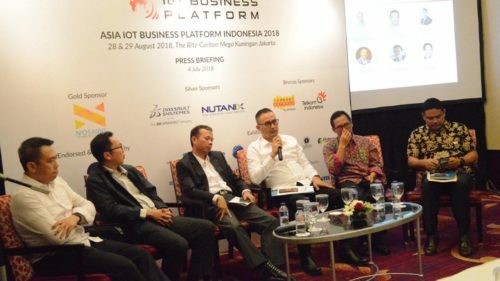 Further discussions on the development of enterprises digitalisation in various verticals including manufacturing, transport and logistics, public sector, smart city, retail and financial services in Indonesia will be hosted at the 25th edition of Asia IoT Business Platform in Jakarta on the 28-29th August. You can check the line up of the speakers here. Drop us a note if you are interested to find out more on the sessions and get our insights on Indonesia IoT market. Hi, we would love to. Could I have your corporate email address to discuss further?